Gingerbread Girl Ornament Espresso Kit 669 from Happy Hollow Designs. The smell of gingerbread is in the air at your house with this Quilt-A-Licious design. 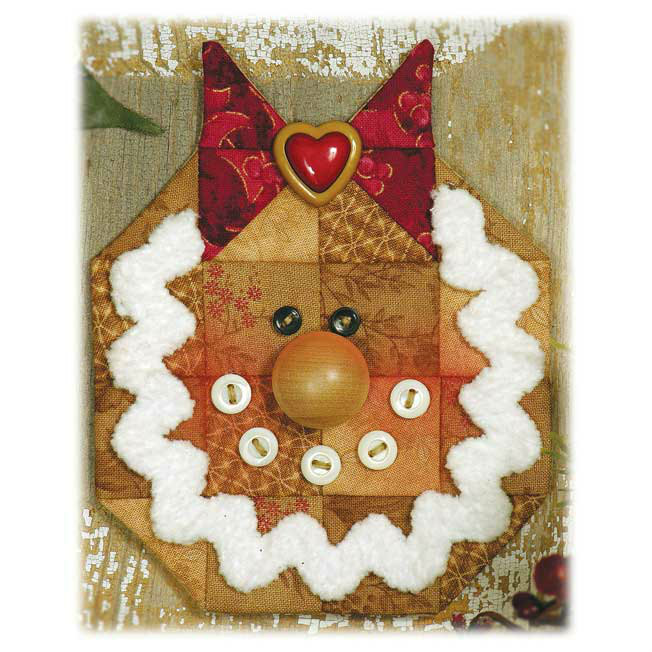 Includes pattern, fabric, Fusible Quick Grid, backing, wooden nose, button eyes, button mouth, heart button, and chenille ric rac trim. Makes a great gift! Makes one 5" delicious ornament. Kit is packaged in a take-out espresso cup.